Suits available may vary based on sizing. Speedo Elite Suits require special sizing for appropriate size.- Please refer to Sizing area on the left panel of page. LZR Racer Pulselite provides support along with flexibility. This is very useful in the upper torso because it makes breathing and arm-movement during strokes easier. It is resistant to horizontal stretch providing high compression, reducing drag but increasing the muscles' efficiency. Enhance the link between upper and lower body muscles. Connecting major muscles of the thigh, back, and shoulders. Construction of seams provides feedback to the swimmer, helping maintain a better postition in the water and a high leg kick. Rather than stitching, the seams are ultrasonically welded together. There is an additional top tape to ensure there is a stronger bond. Allowing a flatter seam which increases comfort and reduces skin friction drag by 6% versus sewn seams. Exclusive Technology, the laser cut strap controls the stretch and comfort over shoulder. Using flat, sandwich construction, the straps provide the optimal balance between a secure and comfortable fit. Laser cutting of the layered core liner uncovers the single layer Ab-Activator panels, improving localized sensitivity to water. This encourages lower abdominal muscle activation. Proprioceptive feedback promotes optimal body position in the water. 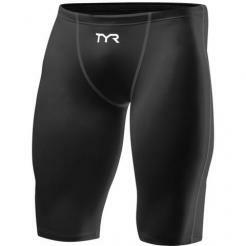 Compressive fit, patented Speedo Core Stabilizer and internal compression panels, assist in achieving drag reducing streamlined form and improved economy. 6% less skin friction drag (vs. sewn seams). LZR Pulse: Exclusive compressive fabric reduces muscle oscillation and skin vibration. Quick Drying. 4 way flat seams: Low Profile, high strength stitched seams. This FINA- Approved Technical racing suit makes all the difference on race day.